GoPets v. Hise, Does Transferring a Domain Name Create a New "Registration" under the ACPA? The Anticybersquatting Consumer Protection Act ("ACPA") provides that a person is liable to a trademark owner when the person (1) registers a domain name, (2) in bad faith, (3) that at the time of registration was “identical or confusingly similar to” a distinctive trademark. See 15 U.S.C. § 1125(d)(1). When analyzing claims under the ACPA, timing is critical. Often an entity will acquire trademark rights long after a domain name is first registered. When a domain name is registered and continuously maintained by a single individual or entity, what is meant by the "time of registration" of the domain name is clear. It is the date the domain name was first registered. The question courts have grappled with is whether transfers of a domain name from one registrar to another constitutes a "new registration" or whether transfers from one entity to another constitutes a "new registration." If these transfer are "new registrations" then the registration date of the domain name may be reset to a point after the trademark owner acquired rights in a trademark. In those instances, the trademark owner has an opportunity to use the ACPA to acquire domains which were originally registered before it had any trademark rights. The underlying legal question really boils down to this: is the ownership of a domain name a property right or a contractual right? If a domain name is a property right then rights acquired when a domain name is first registered are freely transferable to a subsequent owner. If a domain name is merely a contractual right, then the rights may change every time a new agreement is signed with a registrar and every time a new owner signs an agreement with a registrar. On September 22, 2011 the United States Court of Appeals for the Ninth Circuit issued a ruling in GoPets v. Hise, __ F.3d __, (9th Cir. 2011) that ownership of a domain name is a property right. Specifically, the Ninth Circuit held that that the term "registration" under the ACPA applies to the very first time a domain name is registered. Rights which existed at the time a domain name was registered (e.g. that the registration was not in "bad faith" and was not "identical or confusingly similar" to an existing trademark) are not lost simply because the domain name was transferred to a new entity. In GoPets, the defendant Edward Hise registered the domain name gopets.com in 1999. Hise had a few ides for a site he might develop with the domain name, but never did much with it. In 2004 a Korean company, GoPets Ltd. developed a virtual pet game called GoPets which involved creating and customizing a virtual pet that would live on your computer's desktop. In October 2004, GoPets Ltd. first approached Hise about buying the GoPets Ltd. domain name. GoPets Ltd. offered a paltry $750 to Hise. This offer was first ignored by Hise and later rejected. Seven months later in May 2005 GoPets Ltd. tried again. Instead of raising its offer, however, it threatened Hise with an ICANN domain dispute claim and lowered its offer to $100. GoPets Ltd. attempt at intimidating and insulting Hise was fruitless and a dispute before the Internet Corporation for Assigned Names and Numbers ("ICANN") was commenced a year later in May 2006. In July 2006 a WIPO arbitrator decided in favor of Hise. The ruling was simple-- Hise had registered the domain name in 1999 well before the GoPets game was developed in 2004. Hise clearly did not have a bad faith intent to register the domain name at the time he registered it. A few months after the WIPO decision, GoPets Ltd. increased its offer to $5,000 and then to $40,000. Instead of negotiating, Hise got greedy. In response, Hise sent a four page letter to GoPets Ltd. demanding a ridiculous $5 Million for the domain. Two days after sending this letter, Hise transferred gopets.com from himself to his brother's corporation Digital Overture. This transfer was a critical error by Hise as under prior court rulings this type of transfer was a "new registration" of the domain name which re-set the date of registration from 1999 to 2006. GoPets Ltd. immediately pounced on this mistake and filed an action in federal court in the Central District of California. The district court granted summary judgment in favor of GoPets Ltd. finding that Digital Overture's "registration" of the gopets.com domain name in 2006 was done after GoPets Ltd. had acquired its trademark rights and was therefore in "bad faith." Hise appealed to the Ninth Circuit. Looking at ACPA in light of traditional property law, however, we conclude that Congress meant “registration” to refer only to the initial registration. It is undisputed that Edward Hise could have retained all of his rights to gopets.com indefinitely if he had maintained the registration of the domain name in his own name. We see no basis in ACPA to conclude that a right that belongs to an initial registrant of a currently registered domain name is lost when that name is transferred to another owner. The general rule is that a property owner may sell all of the rights he holds in property. GoPets Ltd.’s proposed rule would make rights to many domain names effectively inalienable, whether the alienation is by gift, inheritance, sale, or other form of transfer. Nothing in the text or structure of the statute indicates that Congress intended that rights in domain names should be inalienable. The Third Circuit assumed that Weber’s initial registration of schmidheiny.com was not covered by § 8131(1)(A) because it had been made before the passage of ACPA. See id. at 581-82. Based on that assumption, the Third Circuit was concerned that holding that re-registration was not “registration” within the meaning of ACPA would “permit the domain names of living persons to be sold and purchased without the living persons’ consent, ad infinitum, so long as the name was first registered before the effective date of the Act.” Id. However, we believe that the Third Circuit erred in assuming that Weber’s initial registration was not covered by ACPA. We agree with the holding of the Second Circuit in Sporty’s Farm that § 1125(d)(1)—and, by extension, § 8131(1)(A)—apply to registrations made before the passage of ACPA. See Sporty’s Farm, 202 F.3d at 496-97. If Weber’s initial registration violated § 8131(1)(A), as we would hold it did, the Third Circuit’s concern evaporates. So will other circuits adopt the Ninth Circuit's reasoning and find that domain names are property rights? The law does seem to be moving in that direction, but there are always exceptions and exceptional cases which may warrant a different view. So Hise won. Or did he? Perhaps the bigger lesson in this case is how the value of the gopets.com domain name plummeted during the appeal. 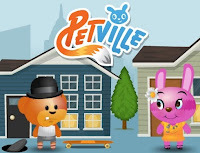 While today, in 2011 Hise retains his ownership interest in gopets.com, the brand "GoPets" was abandoned in late 2009 when Zynga purchased GoPets Ltd.'s assets. 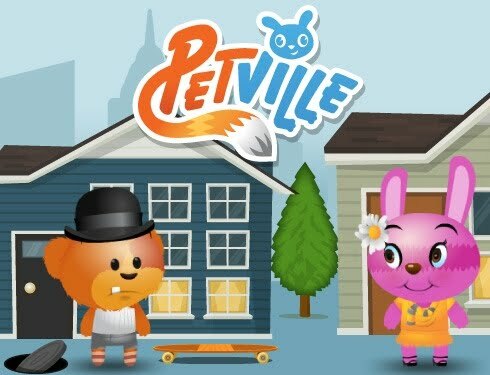 Zynga immediately shut down "GoPets" and launched a revamped service, PetVille. The value of gopets.com is now far less than it was before the GoPets brand was abandoned by Zynga. In retrospect, both parties should have negotiated in good faith. Back in October 2006 Hise should have negotiated with GoPets Ltd. in good faith when it offered $40,000 for the domain name instead making a ridiculous counter-demand for $5 Million. Likewise GoPets Ltd.'s initial offer of $750 and its subsequent offer of $100 were equally ridiculous, if not more so. The lesson here is two-fold. Failing to negotiate in good faith can lead to unnecessary lawsuits and lawsuits often last longer than internet companies or their brands. Mark Borghese is a Las Vegas trademark attorney with the law firm of Borghese Legal, Ltd.